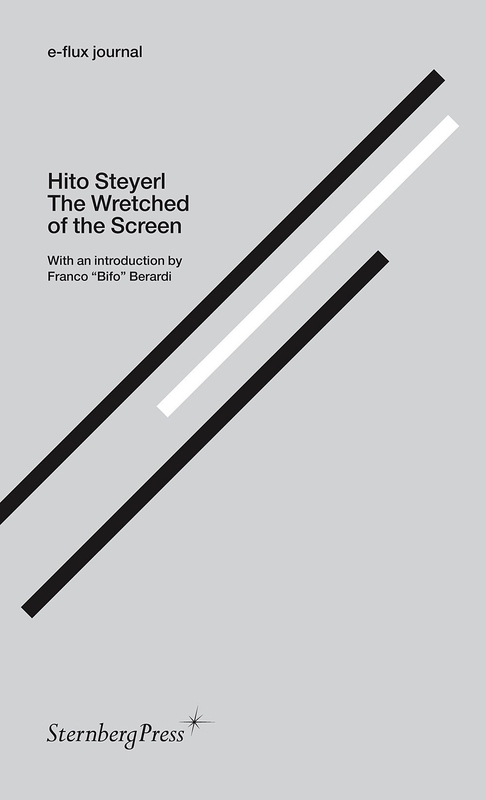 In Hito Steyerl’s writing we begin to see how, even if the hopes and desires for coherent collective political projects have been displaced onto images and screens, it is precisely here that we must look frankly at the technology that seals them in. The Wretched of the Screen collects a number of Steyerl’s landmark essays from recent years in which she has steadily developed her very own politics of the image. Twisting the politics of representation around the representation of politics, these essays uncover a rich trove of information in the formal shifts and aberrant distortions of accelerated capitalism, of the art system as a vast mine of labor extraction and passionate commitment, of occupation and internship, of structural and literal violence, enchantment and fun, of hysterical, uncontrollable flight through the wreckage of postcolonial and modernist discourses and their unanticipated openings. In Hito Steyerl’s writing we begin to see how, even if the hopes and desires for coherent collective political projects have been displaced onto images and screens, it is precisely here that we must look frankly at the technology that seals them in. The Wretched of the Screen collects a number of Steyerl’s landmark essays from recent years in which she has steadily developed her very own politics of the image. Twisting the politics of representation around the representation of politics, these essays uncover a rich trove of information in the formal shifts and aberrant distortions of accelerated capitalism, of the art system as a vast mine of labor extraction and passionate commitment, of occupation and internship, of structural and literal violence, enchantment and fun, of hysterical, uncontrollable flight through the wreckage of postcolonial and modernist discourses and their unanticipated openings.